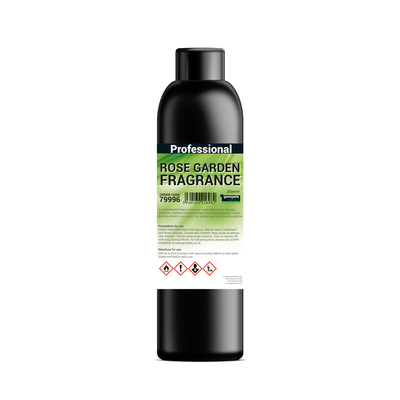 Invite the delicate scent of roses into your home with the Gompels Rose Concentrated Fragrance. Supplied here in a handy 200ml bottle that provides exceptional value for money, this highly concentrated formula mixes perfectly with water to create a light and refreshing air freshener that can be used in any room you desire. Pour into the Gompels Continuous Mist Spray Bottle and spritz on your favourite bed sheets or the upholstery around your home to enjoy the floral scent at every moment. Highly versatile, this concentrated fragrance can also be added into your next laundry load to bring summary notes to all your family's favourite outfits. Pair with the Gompels Continuous Mist Spray Bottle to create a home that smells as delicate as a rose.